Men's Italian Leather Dress Casual Belt Made in Italy 1-3/8" (35mm) wide. Silver tone Belt Buckle and Leather loop with Contrasting Stitches. 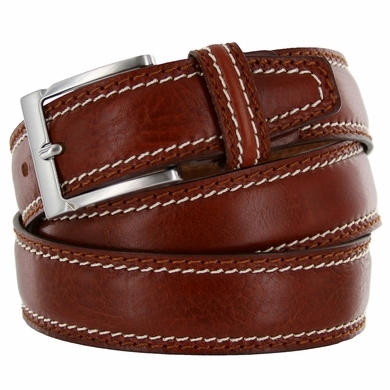 Men's Italian Leather Dress Casual Belt, Made in Italy, Silver tone Belt Buckle with Leather loop entirely designed and produced materials Made in Italy.